And guess who’s back in action? We’ve been discussing about trying out this new place for some time. Then we finally made it last Saturday. So how was it, you asked? The remaining 0.5 points is for the pork sausages, which I thought was nothing great. It was a bit hard & a far cry from the typical German bratwurst. We liked the Bacon Spaghetti very much. It’s mixed with chili, making it slightly spicy & tasty. Very nice! 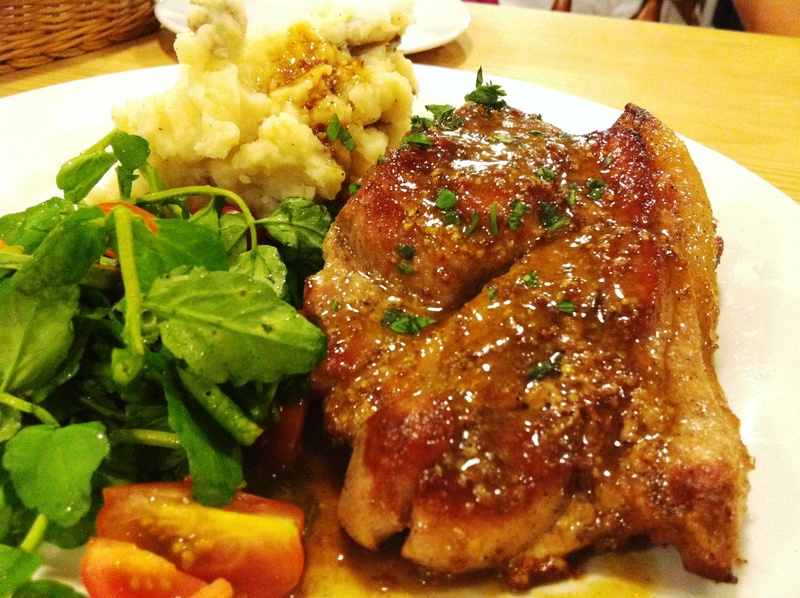 The pork chop, I find, was better than the one in Betty’s Midwest Kitchen @ Aman Suria. Betty’s porky was a bit too hard, I thought. This was just nice. And you don’t need to burn your wallet for it, it only goes for RM18.90, and for a pretty big portion too. We also ordered one of their snacks, Keropork, which was pretty interesting, I must say. You must try it. The prices here are all very reasonable. Maybe because of the crowd of college students around the area.